And along the way, you could discover some great new books! Thirty years ago, James Macleod lost his wife and unborn child to a killer bent on destroying the Changelings. Though he longed for death, his animal instinct fought for survival and James has been a wolf ever since. Yet now a woman has reawakened the man in him, taming wild instincts but arousing still wilder needs. With his ancient enemy hunting the legendary white wolf, James must fight for new life, new hope, new love. With his ancient enemy hunting the legendary white wolf, James must fight for new life, new hope, new love. THE CHANGELING SERIES centers around the Macleod family, four brothers and two sisters. Long-lived and able to become wolves at will, their kind call themselves Changelings. Centuries ago, they were forced to flee the wolf exterminations in Scotland and start a new life in the wilderness of northern Canada. Today, that wilderness has been largely settled, and an entire community has sprung up around the Changelings. The Macleods and their pack live as humans most of the time, hiding in plain sight. They have jobs and pay bills and go to school and mow the grass and do all the things that humans do. But don’t make the mistake of thinking they’re tame…. There are sacred places in the hills, and wolves rule the forests at night. The Macleods seem to have the best of both worlds — yet there are still dangers lurking for their kind. And love, when it arrives, brings dangers and complications of its own. The two highest laws in the Changeling world are never harm a human and never turn a human against their will. The wolf within, however, has its own primal rules. If a Changeling’s life is in danger, the wolf will emerge to defend it. It will also rise to the surface, unbidden, to defend a mate at all costs. Because Changelings mate for life! Although it’s a series, I designed each book to stand alone. So you won’t get lost if you read them out of order! But wait! My disorganization could be your gain. Enter through the Rafflecopter below, and you could be one of a dozen readers to win a SIGNED paperback copy (plus a set of my bookcover postcards and a couple of bookmarks). Open to USA residents only. You can see all my books at www.daniharper.com or go to my Amazon Author Page. At long last, the unveiling has arrived! The Dani Harper website has been rebuilt, redesigned, and revamped from the ground up, and I couldn’t be more thrilled with the results. Look for new features, e-x-p-a-n-d-e-d information, and a shiny new Grim Series Glossary to explore. In 2019, the Chinese New Year begins February 5th and runs until February 19th. Also called the Spring Festival, it is the most important holiday in China and a time for family gatherings. 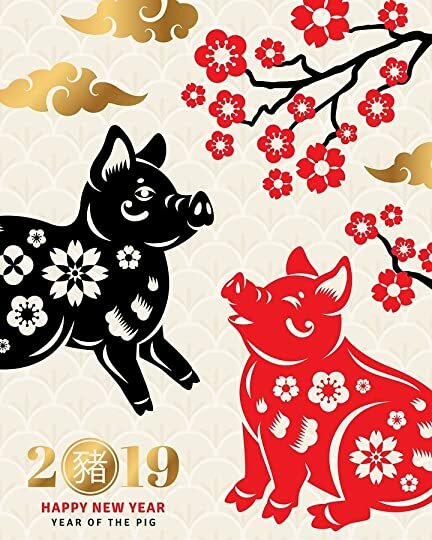 According to the Chinese calendar, each year is influenced by an astrological animal, and 2019 is the Year of the Pig. Also known as the Boar, it will reign until January 24, 2020.
and much of Asia, the pig is a symbol of abundance, wealth, and good fortune. may bring greater happiness, love, and friendship. the Pig, and it’s an all-round good sign to have! The animals of the zodiac rotate in a 12-year cycle. Pig years are 1935, 1947, 1959, 1971, 1983, 1995, 2007 and of course, 2019. The next one will be 2031. In addition to the animals taking turns, each year is also influenced by one of five elements – wood, fire, earth, metal or water. Earth is the element for 2019.
every 60 years. No wonder so many anticipate that 2019 will bring abundance! a very good time to simply enjoy life. Unknown animals have been dubbed “cryptids”, and cryptozoology is the study of such undiscovered creatures. The root of both words comes from the Greek word kriptos, meaning hidden. What if, indeed! The most well-known aspect of cryptozoology, the one which tends to capture most of the media attention, concerns the search for animals which are alleged to exist but are not confirmed. This includes the aforementioned “classics” like the Loch Ness Monster and Bigfoot—but they’re only the tip of the proverbial iceberg. The Beast of Bray Road is a werewolf-like being reported to live in Wisconsin. The Thunderbird with its 14-foot wingspan is still said to follow storms from Texas to Illinois. The Ogopogo is a legendary lake monster in British Columbia, Canada (see my post: http://herebemagic.blogspot.com/2018/06/is-there-monster-in-your-lake.html ). And a sea serpent named Caddy has been sighted off the northwest Pacific coast. You’ve probably heard about the Chupacabra of Mexico and the American Southwest, which is said to drink the blood of goats. The Jersey Devil purportedly haunts the Pine Barrens of southern New Jersey, while Florida is allegedly home to both the Skunk Ape and the Muck Monster. Around the world, there are countless cryptid stories. The Himalayan mountains is believed to be the territory of a number of primate creatures such as the Yeti, the Buru and the Barmanu. Another primate, the Yowie, is Australian. One of my favorites? 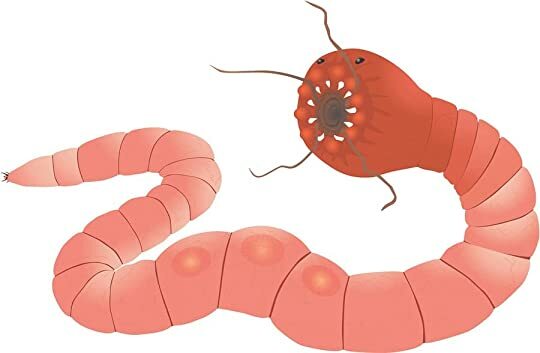 The Mongolian Death Worm. Who couldn’t love a title like that? This large snake-like creature is said to live beneath the sand in remote areas of the Gobi Desert. Residents there claim the bright red worm kills by spraying an acid-like venom or by electrocuting its victims! I don’t know if these cryptids inspired the mighty sandworms of Frank Herbert’s Dune novels, but they did apparently influence the “graboids” of the movie Tremors (and yes, I’ll admit to owning that movie – popcorn, anyone?). What you might not know is that Cryptozoology encompasses two other fields of investigation. One is the search for still-living examples of animals generally thought to be extinct. For instance, tales are told in South America of the mapinguari, a 10-foot tall mammal with huge backward-facing claws that lives in the deep jungle. The descriptions are eerily similar to that of the Giant Ground Sloth (megatherium) that lived in the region 10,000 years ago. The swamps, creeks and waterholes of Australia may be the home of the carnivorous bunyip or kianpraty, described as having a doglike face, tusks, and flippers. Some think the bunyip may be a prehistoric marsupial which did not go extinct. The third area of cryptozoology concerns animals which are known to exist, but are being sighted in areas very far from their usual habitat. Are black panthers roaming the British countryside? And what about the stories of giant black cats in many American states from Alabama to Texas and beyond—including the Ozark Howler? Are they escaped pets or former zoo animals? Or variations of indigenous animals? Although stories of black mountain lions persist, science holds that leopards and jaguars are the only big cats whose coloration can be entirely black. In recent years, a few jaguars were confirmed present in Arizona and New Mexico – areas where the species once lived many years ago. So far, however, the confirmed jaguars were all spotted, not black. Would it surprise you to know that the mountain gorilla, the okapi, the Komodo dragon, the platypus, the kangaroo and the giant panda were all once thought to be fictional creatures? Sri Lankan legends tell of the ulama, a terrifying horned bird that screams in the night. In 2001, it was discovered to be a new (and very large) species of owl! A similar thing happened in Western Indonesia, where Moni folklore featured the bondegezou — the “man of the forest”. In 1994, an animal new to science was discovered there: the dingiso. This black and white tree marsupial spends a lot of time on the ground and often stands upright. EASY PEASY TO ENTER! And during the hunt, you’ll find some great new books and some new-to-you authors as well. You’ll see two of my own novels there as well: the latest standalone in the Grim Series, STORM CROSSED and my Christmas paranormal romance, THE HOLIDAY SPIRIT. Grand prize is a Kindle Fire HD 8 with Alexa! Open to the world! I wish you much luck in winning!